The official start point of the Camino Frances, St Jean Pied de Port. Crossing the Pyrenees on foot to Roncesvalles. Pamplona and Burgos - two of Northern Spain's most wonderful cities. Meeting fellow pilgrims, hearing their stories and travel tips along the way. Walk the first two stages of the Camino from St Jean Pied de Port, which straddles the French and Spanish border, to the medieval city of Burgos. Crossing the Pyrenees your first day will undoubtably be the toughest day of the whole Camino. The steep climb up to Roncesvalles is demanding but will be graced with stunning views all around. The high mountains and deep valleys of the Pyrenees soon give way to the undulating plain that surrounds the fortress town of Pamplona. As you approach Logrono, the regional capital, you cross into the well know wine growing region of the Rioja. As you continue towards Burgos, the landscape is dominated by vineyards. 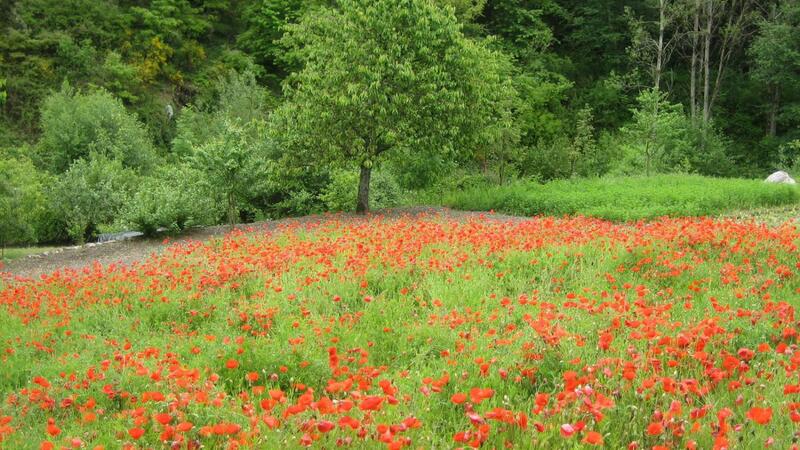 The Camino then takes you through crop fields with small brooks and oak woods until you reach the Oca Mountains. As you reach Burgos you make your way down into the valley of the Pico river and then you reach the medieval city of Burgos, with its spectacular gothic Cathedral. Arriving in St Jean Pied de Port, enjoy your first overnight in this pretty market town at the foothills of the Pyrenees. A good meal and an early night will prepare you for the start of your journey. Today is the toughest section of your walk, with a steep climb up to the Roncesvalles Pass across the Pyrenees. However, this is rewarded with wonderful panoramic mountain views. An alternative route is available along the valley for those who prefer a more gentle option. From Roncesvalles, you will cross two further mountain passes before continuing through beech and oak woods alongside the River Arga to the small village of Akerreta. At first following the River Arga, today’s walk then starts to get slightly busier as you head towards Pamplona. Famous for the running of the bulls festival, Pamplona is a beautiful city lined with medieval streets, and a tasty meal can be enjoyed in the main square, Plaza del Castillo. After the first 5km along suburban roads, you are soon back in the countryside. From Cizur Menor, a climb takes you through a field of wind turbines, with wonderful views back over Pamplona. The Arga valley then opens up ahead as you descend down to Puente la Reina. Walking through rolling farmland and vineyards will bring you to Estella. There are also a few examples of Roman roadway on this section at Cirauqui, a pretty hilltop village. Natural paths take you through oak and pine trees today as you climb towards Montjardin, before a final remote section through open country and vineyards to Los Arcos. A long section with some steep sections into the Cornava river valleys. However, this is rewarded by entering into the wine region of La Rioja, and the bustling town of Logrono. Leaving Logrono, pass through the Pantano de la Grajera, a pretty reservoir surrounded by woodland. 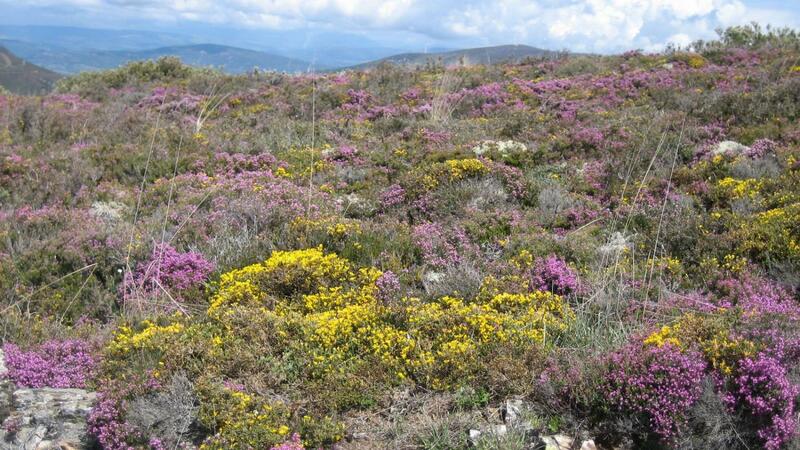 Continue to Navarrete famous for its Rioja wine, then enter Najera via the Alto de San Anton. Wide country roads through gently undulating farmland take you to Santa Domingo. The historic town of Santa Domingo is lined with medieval streets and grand buildings, including a 12th century Romanesque and Gothic cathedral. Leave Santa Domingo by the Puente del Santo bridge over the Rio Oja, and pass the 16th century Iglesia de San Juan Bautista and Iglesia de Nuestra Señora de la Calle before arriving at Belorado, a town which can be traced back to Roman times. Continue through open countryside to Villafranca Montes de Oca, where the path starts to climb before dropping down to the remote village of St John the Nettle and on to San Juan de Ortega via the mountainous Sierra de Atapuerca. From Atapuerca, you descend to Burgos where the hustle and bustle of the city may be a bit of a culture shock after the peace and tranquility of the Camino. However, Burgos is a beautiful city with numerous monuments worth exploring, including the wonderful gothic Cathedral. Enjoy breakfast before checking out and making your way home. The accommodation in Pamplona, Logrono and Burgos will be in 3-star hotels, the rest will be a mixture of rural hotels and hostels all with private rooms and en-suite. They all offer a warm welcome to walkers, traditional hospitality and delicious local food. 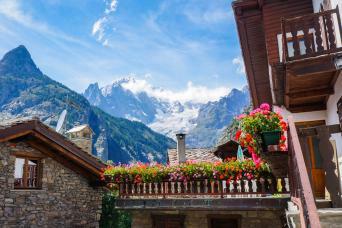 We do recommend that you book this trip early as the area is always popular and the hotels and inns do fill up early, especially in high season. You can start on any date between April and Mid October that suits your travel plans subject to availability. Please be aware that should you wish to travel during the San Fermín Festival in Pamplona, then accommodation at this specific location is normally very difficult to secure and the hotels may charge a premium. We will always do our best to make arrangements for you, however at busy times a supplement may be payable for transfers or superior accommodation. The spring months of April and May tend to offer nice mild conditions for walking although the nights can be quite cold at this time of year and there can be quite a lot of rain in Northern Spain at this time of year. The summer months of July and August can get very hot and humid. The autumn from late September through to October offers cooler temperatures again although daylight hours start to become less at this time. 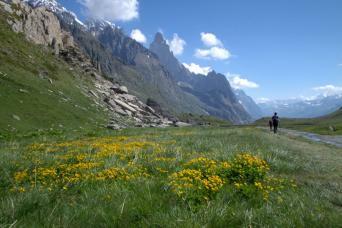 This walk is graded moderate and includes daily walks of 9-30km. A mixture of farm/dirt tracks, minor roads and footpaths. Section 1 from St Jean Pied de Port is the most strenuous part of the walk with some steep inclines/declines as you travel through the Pyrenees. 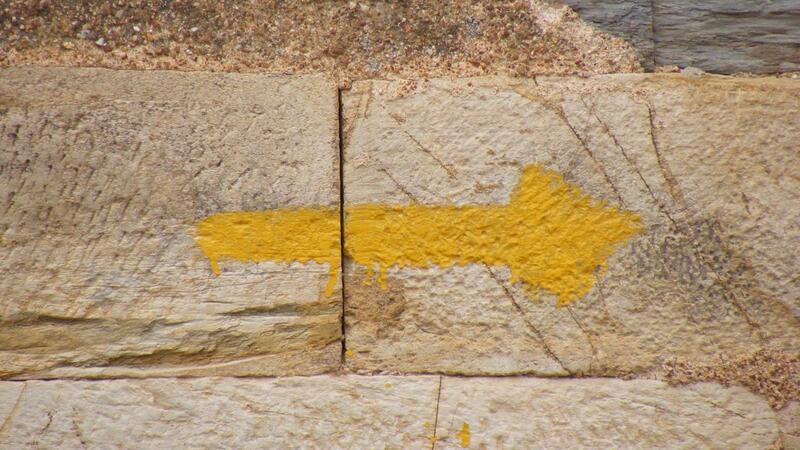 The route is marked with yellow painted arrows but please take care at intersections. There will always be other walkers around in case you are looking for help. A detailed information pack including route notes, local information and maps will be waiting for you at your first accommodation. It is possible to walk the Camino in less time but we would not recommend this. The pilgrim’s passport is issued by the church of St James, you can obtain one at the start of your walk in the pilgrim’s office or the local church in town. You need to get the passport stamped in churches, restaurants and hotels along the way. 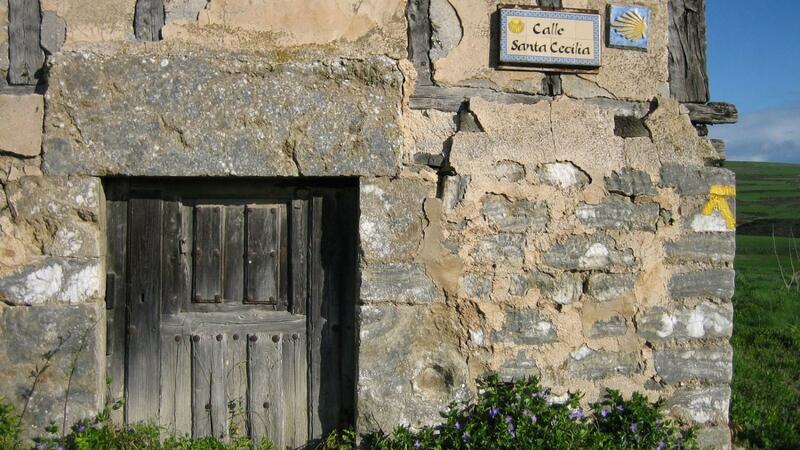 At the end of the walk in Santiago you can obtain your Compostela Certificate (only if you have walked the last 100km). For the other sections of the trail, the passport is used as a souvenir with all the colourful stamps you will receive. From Burgos you can take the train to Madrid with RENFE which takes around 2 and a half hours. Alternatively you can take the bus with ALSA which takes around 3 hours. Accommodation in small rural hotels and hostels with en-suite W/C. Lunches, dinners (optional), snacks or drinks. Your trip logistics ran like a Swiss watch for us. The luggage transfers were amazing. Our bags showed up exactly where they were supposed to be every night! That amazed me. Every time we needed a transfer (up/back from our stopping point) to a hotel...they were there. Explanations were clear. Maps were helpful. A vacation unlike any other I have ever taken. Amazing shared experience with my son. Part Spiritual. Part Physical Fitness. Part "re-boot my brain" I'm already preparing for the next leg of the tour. Focusing on the culture surrounding us, not for one moment stressing about tomorrow. Macs did a great job with our recent Camino trip -this is the fifth time we have used them and their organization and attention to issues is the best! Sinead did a great job for us. Excellent experience. All arrangements including accommodation was fanfastic. Challenges occurred for our Mind, Body and Soul and this is part of the Camino journey and experience. 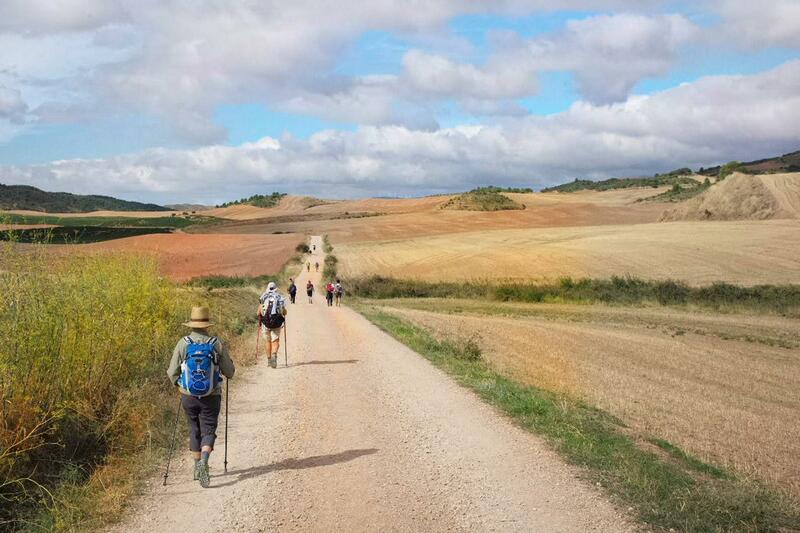 We all have our own path to walk and no two Camino personal journeys will ever be the same or can be compared .... but for to know that our wonderful accommodation in perfect locations was waiting for us after each sector was completed gave us such piece of mind. The luggage transfer service was handled so well and was always on time and well looked after. We had a couple of questions while we were away and sinead attended to them in such a prompt and kind manner it was wonderful. I am in the travel industry myself (travel agent) and have been actively promoting you to colleagues who gave been following my journey via Facebook. MacsAdventure is a good balance of adventure and having a comfortable bed to rest and regroup for the next day. A well supported, unique experience! Walking The Way of St. James was a way to mark a new phase in my life. A fantastic opportunity to meet people from all around the world. There is a great camerarderie which comes from the shared experience and most people want to interact. Perfect for people watchers! Whilst the standard of accommodation inevitably varied, all were clean and friendly and some really stood out, notably for us the Hotel Akerreta. I booked the entire Camino de Santiago through Macs Adventure for my son and I on the recommendation of my aunt and uncle who did this exact itinerary 2 years ago. It was a 42+ day trip which was perfectly planned with our input from the beginning and executed flawlessly through the company during our pilgrimage. Our accommodations were varied and exactly as advertised... ranging from 4 star to tiny village B and Bs. Our requirements were to have private rooms every night with a private bath and bag transfers. 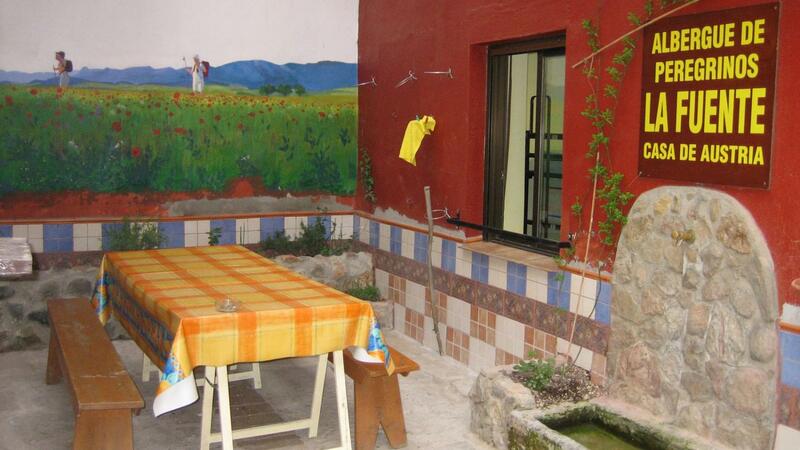 We always had hot water, clean rooms/bathrooms, ample breakfasts (also included) and wifi. Every day our bags were collected and taken to our next destination and alway arrived before we did. We were truly Camino VIP's. We were provided with VERY detailed itineraries, maps and guide books down the the kilometer (yes we walked nearly 800 kilometers). There were two times over the 6 week duration where I had a question (confirmation) about the itinerary and they were answered immediately via email by a Mac Adventure representative. We thought about making a small change in plans and they would have been willing to accommodate but in the end we left things as originally planned. The internet has made the facility of travel so that I do not usually use a tour company or travel agent. I could not have booked this tour on my own nearly as well as they were able to do for me. You lose a little bit of flexibility booking the trip in entirety but if you have a limited schedule (in our case 6 weeks), this type of booking was necessary. It took the unknown and worry about our choices as well. My legs need a long recovery period but if I were to ever do the camino again (alternate route) or another walking holiday, I would immediately contact them for planning. Excellent website, user friendly. Amazing communication, prompt, the people extremely friendly and always had the time to go through things. I felt that the reliability and organisation was the best I have ever seen. 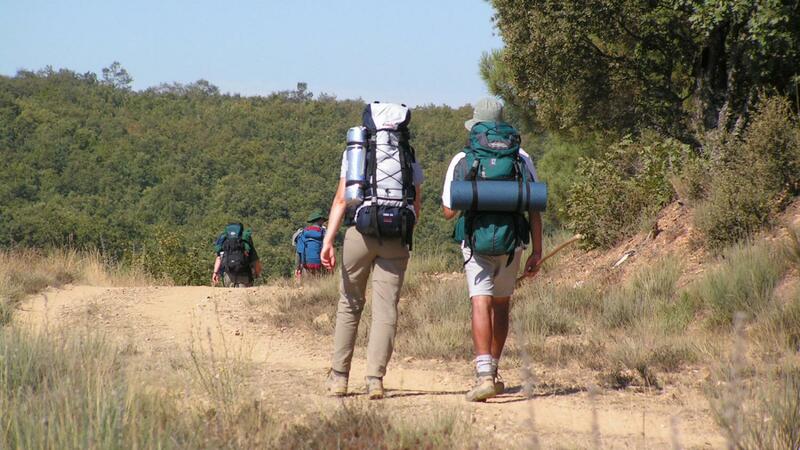 The Camino attracts a wide range of pilgrims from around the world who walk for many different reasons. If you are looking for an uplifting and life changing journey along one of the world’s greatest trails then the Camino is probably the one for you.